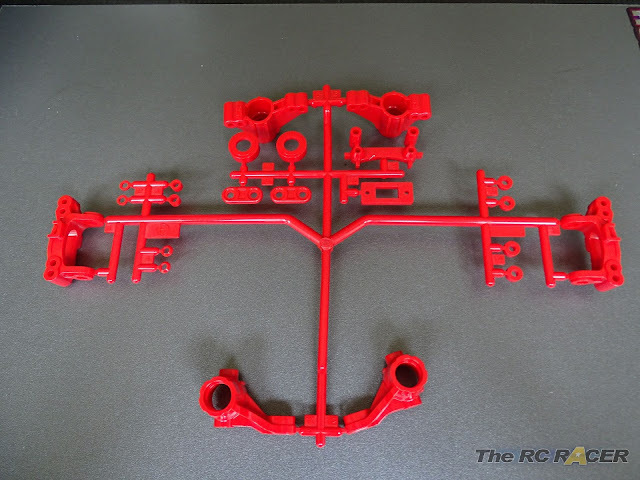 The F-Parts are basically M05-RA parts but moulded in red. 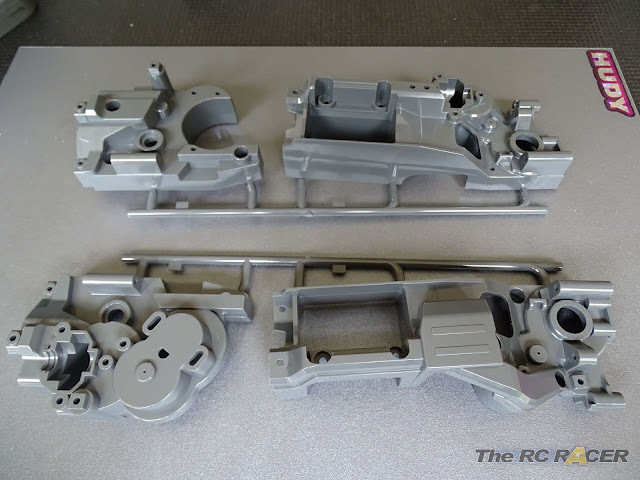 Here are the main chassis halves that are part of the A-parts tree. 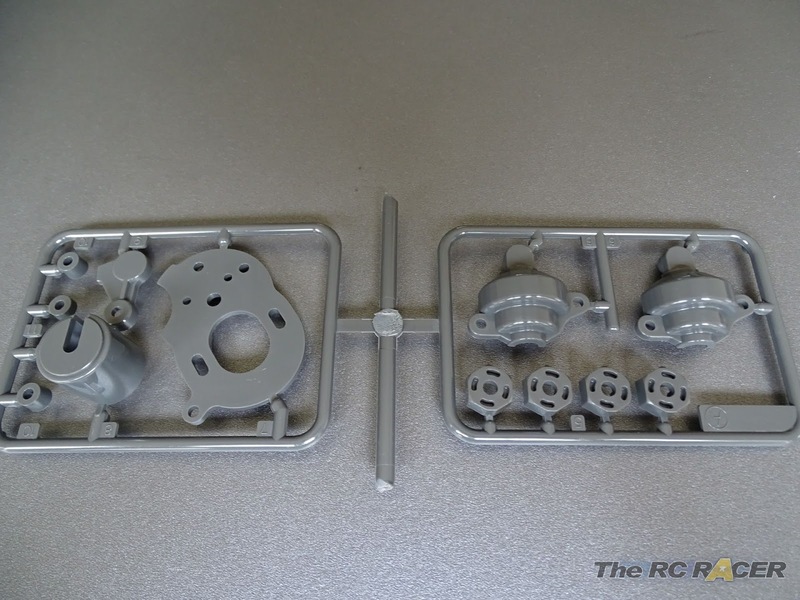 These are a totally new set of parts and they are moulded in some very stiff grey Tamiya plastic. There is a resemblance to the TL-01 but if you place they side by side you will see quite a difference, importantly you are now able to fit a square battery. The rear section is where the motor will be mounted. The other remaining parts of the A-Sprue contain the bevel gear covers for the prop shaft and also the motor mount plate (Plastic) and cover. Tamiya have already announced a Hop-up aluminium replacement for the motor plate, and it could end up being a popular upgrade for racers. 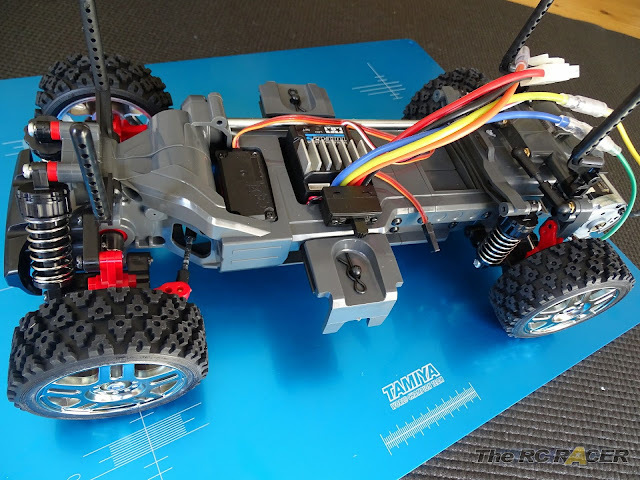 The B-Parts are the chassis spacers, Servo mount, servo horn, rear hub height extenders and battery holders. Lots of new parts here, and they are also moulded in very stiff Tamiya plastic. Much stiffer than the std Tamiya black plastic. The rest of the parts are familiar to anyone who has made a M05/06. The detailed build and review will be here very soon with lots more photo's and info. 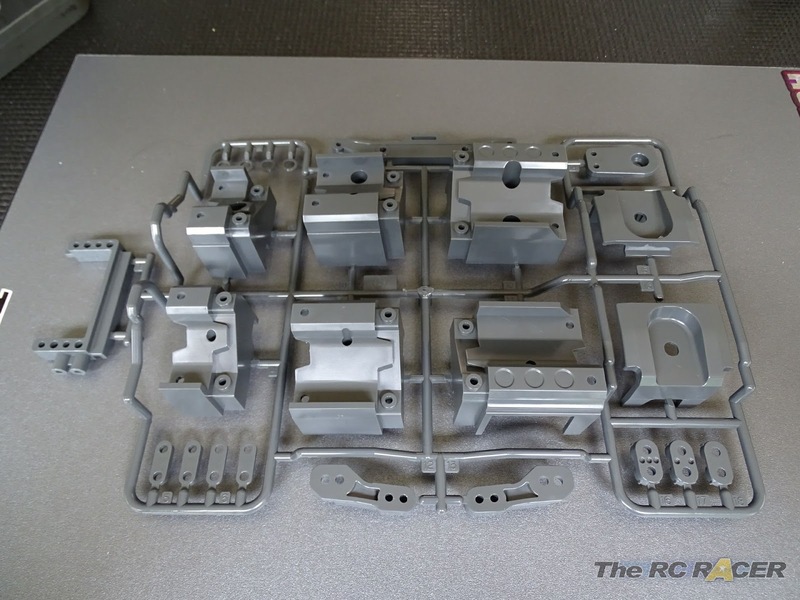 Here is a taster picture of the built chassis.